There are different theories about the origin of the name Aruba. Most probably the name is of Indian origin, two words joined together like ora (shell) and oubao(island), so that would mean Shell Island. Another explanation would be the combination of uru (canoe) and oubao(island), which could be explained by the fact that the Indians used canoes on the sea and that's how they have populated Aruba. 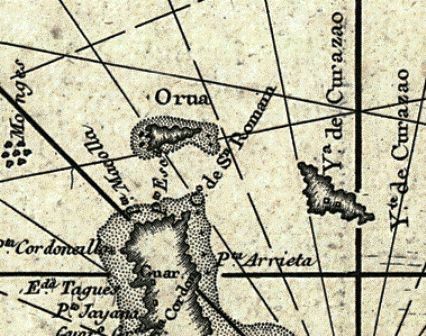 But other theories claim the name Aruba comes from Spanish, oro hubo (there was gold); however, this contradicts the findings of the Spaniards when they discovered Aruba. 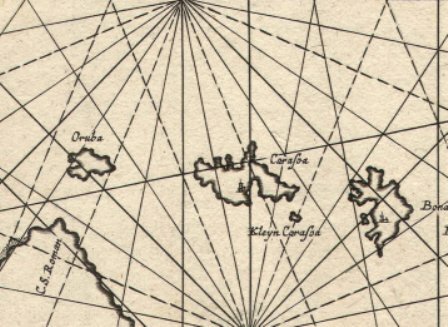 The first mention of a name that resembles Aruba is on a map from 1562, where it says Orua. 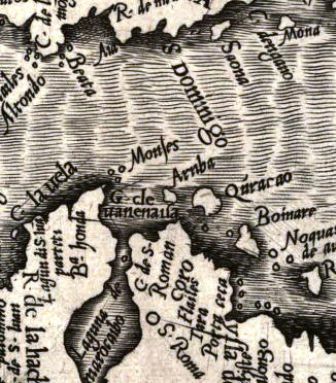 On other maps from the 16th and 17th century, names like Oruba, Ouraba, Uruba and Arouba are to be found. Very little is known about the original inhabitants of Aruba. Excavations show that the island has been populated for hundreds of years before it was discovered by the Spaniards. This period is called the pre-Colombian era. The primitive population of Aruba consisted of Arowak Indians. Archeological research has demonstrated that our island was populated by Indians who had the same culture as the inhabitants of the South-American continent. 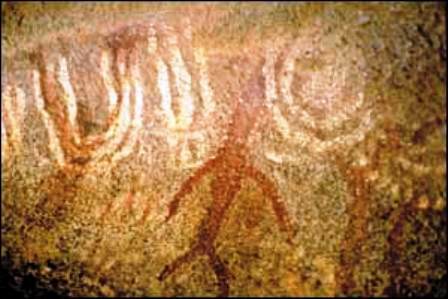 Further evidence of the supposition of the South-American origins of the Indians is to be found in the primitive drawings that have been discovered in a lot of places, mostly at the entrance to caves. Moreover, the dead were buried in large urns, like it was the case in Amazonia. 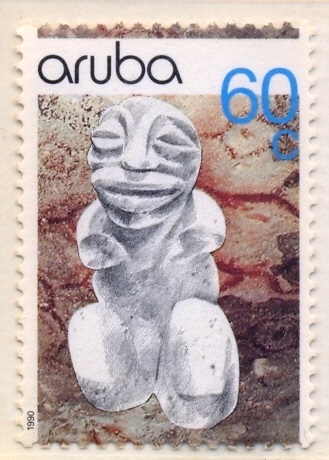 In the fourteenth century, the Caribs conquered Aruba; they themselves had been driven out before by South-American tribes. By the time the Spaniards came to Aruba, the Indians still lived in the Stone Age; they lived scattered in small groups in simple mud huts. They lived of catching fish and collecting natural food. We know from excavations that they lived in Savaneta, Santa Cruz and Tanki Flip. The oldest Indians must have lived on Aruba as of about 2500 BC. They were fishermen, hunters and collectors of food and they used primitive tools, made out of stones and shell (carcó). The oldest excavations, those of Canashito and Malmok, are of Indians who have lived around or shortly after the beginning of our Christian era (500 – 800 AD). The arrangement of their graves and burial sites show a clear hierarchy, dominated by males. The finds of about 900 BC belong to the Ceramic period; the Indians made pottery and they toiled the soil. In this period, the Indians had fixed settlements. 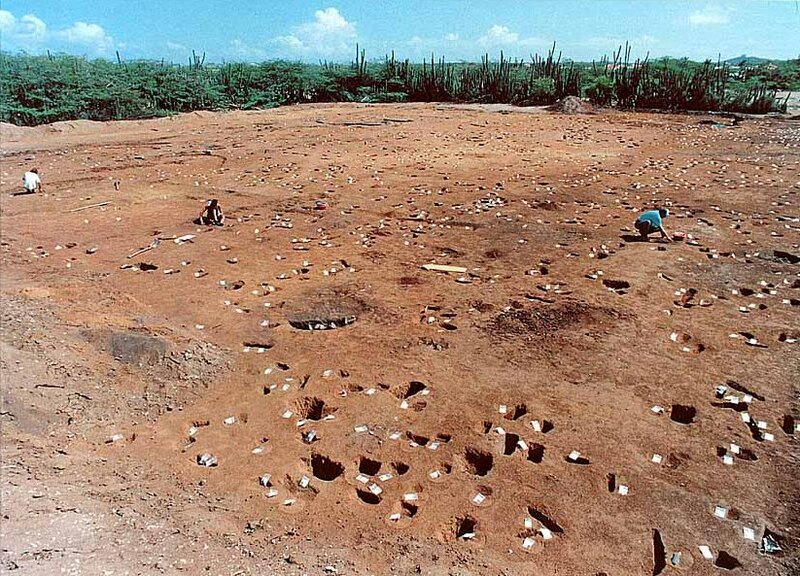 Excavations and finds on the Venezuelan continent, around Coro, show a lot of resemblances to those of Aruba. In Venezuela the Indian called themselves Caquetios, according to the Spaniards, and most probably, the Indians from the islands were Caquetios too. They lived in family settlements, in huts located in groups around one another. A burial mound was part of it too. The Indians slept in hammocks and they used stone tools like axes, chisels and grindstones. They used these to grind the corn. Most frequent finds are of ceramics, mainly fragments. The Indians made their pottery, pans and plates themselves, without a potter's wheel or an oven. These were formed by hand and baked in a fire pitch. Often they were painted or ornate with heads of animals or humans. Jewelry has been found too, made out of pierced shell. 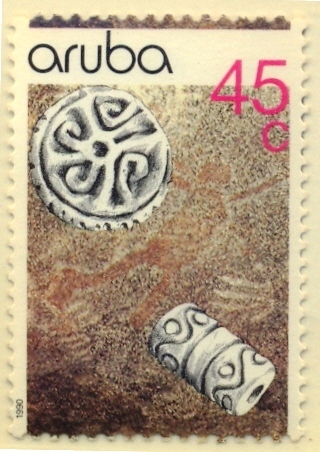 The Indians of Aruba buried their dead mostly in burial pits, sometimes in urns, in which the dead were placed in squatted position. A few times objects, like little pots or plates, were added to the grave. Those were found in Savaneta and Santa Cruz, amongst other spots. The Indianen of Aruba made drawings on rock walls, mostly in caves. The Indians did not live there, so these were supposedly religious places. They can be found in the caves of Fontein, Guadarikiri and at Arikok. 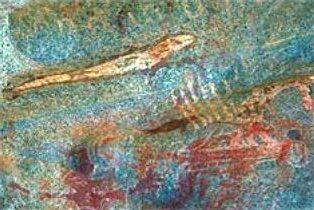 The drawings were made with red dye and they represented geometrical figures where a human or a kind of animal (a fish, maybe a (now extinct) Caribbean Monk Seal) appears to be depicted. Archeological research has taken place since the end of the 19ty century, when the Dutch priest Van Koolwijk discovered Indian drawings and made excavations from 1880 till 1886. The first archaeologist who performed excavations on Aruba was De Josselin de Jong in 1923 in Santa Cruz. 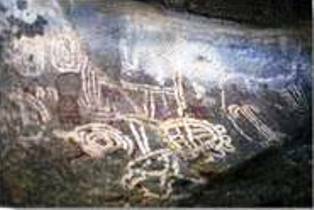 P. Wagenaar Hummelinck studied and made an inventory of locations with rock drawings. After those, several amateur archeologists made finds and registered them, like Ringma (1957, Canashito), Mario Odor, Thomas Angela (Sta Cruz), Johnny Dania (idem), Huib Bongers (1962, Savaneta) and Ewald Biemans. 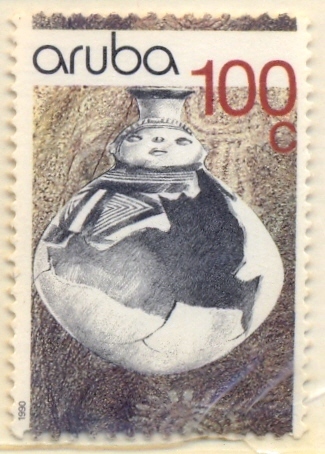 In the eighties, archeologist Egbert Boerstra was director of the Archeologic Museum Aruba (AMA). He performed excavations in Santa Cruz, Tanki Flip and Malmok. In 1988 cooperation was established between the University of Leiden and the AMA. Dr. A.H. Versteeg performed several large scale projects, amongst which the one at Tanki Flip (1994).